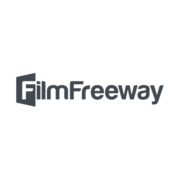 WVFF has a new website. Times up! Submissions are closed. 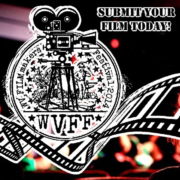 Submit your film to the 2015 West Virginia FILMmakers Festival now. Watch the “Road Trippin” PR Reel. 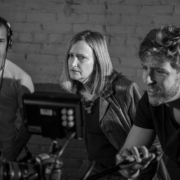 2015 West Virginia FILMmakers Festival Submissions begin March 1st. 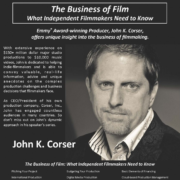 Emmy® Award-winning Producer John K. Corser will be at the West Virginia FILMmakers Festival, Saturday, October 4th presenting on the topic of production financing. Kick-off Screening Oct. 2nd at the Lewis Theatre. 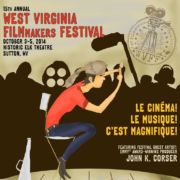 The West Virginia Filmmakers Festival celebrates its 15th year at the historic Elk Theatre.